It looks like Starbucks from a distance, but upon closer inspection, something is very off here. 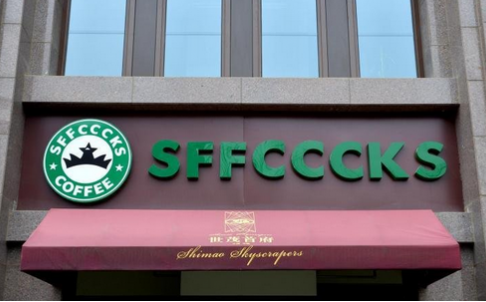 A “street of fakes” has sprouted up in the southern Chinese city of Wuxi, featuring signs that flaunt modified names of famous international stores like Starbucks and Zara. On this commercial street, located near the Wuxi East Railway Station, clothing stores Zara and H&M have morphed into “Zare” and “H&N,” American electronics company Apple is "Appla," Starbucks Coffee has become the bizarre sounding “Sffcccks Coffee" and even the Industrial and Commercial Bank of China has made an appearance – only with one of the characters of its Chinese name removed and replaced with another, rendering the name nonsensical. All of the store signs displaying these famous names are written in fonts that make them appear similar to the real deal from a distance, and China’s netizens have quickly taken to calling the area a “street of fakes” or a “shanzai street.” Shanzai is the Putonghua word for knock-off. Local reports claim that the stores displaying the shanzai signs are actually all empty, and the entire street is property available for purchase by shop owners or landlords. 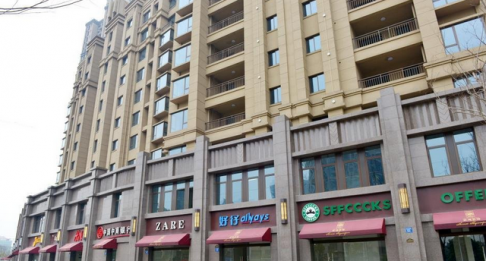 According to reports from internet portal Sohu.com, real estate representatives for the street told reporters that the signs were “pre-made advertising images designed to create a shopping atmosphere” and appeal to prospective property buyers. 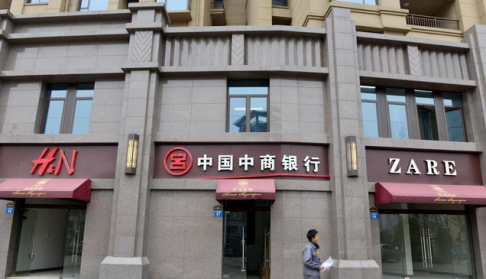 “The real estate operators in charge are engaging in misleading behaviour and should stop this infringement,” said Zhao Jia, a local lawyer interviewed by Sohu.com.